ManpowerGroup Named Exclusive HR Partner for the 2018 Paris Motor Show | ManpowerGroup Inc.
PARIS, Oct. 8, 2018 /PRNewswire/ -- ManpowerGroup [NYSE: MAN] will provide a recruiting platform at the Paris Motor Show that uses the power of Big Data to intelligently match candidates' skills and potential to over 1000 open positions with the world's leading automotive employers. ManpowerGroup France will be the exclusive HR partner of the Paris Motor Show 2018 - Mondial de l'Automobile - taking place at the Porte de Versailles in Paris from October 4 to 14. 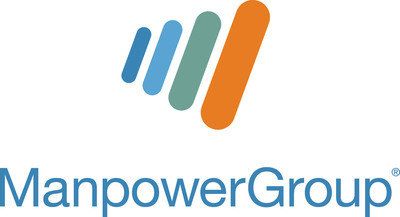 ManpowerGroup has created an innovative and fully integrated tool that helps employers attract, recruit and retain highly skilled talent for roles in engineering, innovation, sales, advanced manufacturing and IT. ManpowerGroup is building on the proven success of this model which matched more than 1000 people with highly-skilled IT roles in three days at Viva Tech - the world's largest tech conference. "Everyone is aware these are fast paced and exciting times for the automotive industry globally," said Alain Roumilhac, ManpowerGroup France President. "This growth in connected vehicles and electric cars also means we're seeing a growing demand for specialist skills. That's why we're pleased to showcase our leading HR technology and help skilled workers connect to open positions in one of the most fast paced industries." The platform allows candidates to quickly upload their resume online then proprietary technology scans the data and matches talent to specific open positions. The tool helps companies attract and recruit workers with in-demand skills and has been designed to provide an accelerated technology-driven process to ensure candidates complete the registration process and are matched to the right roles.